Last weekend, I hosted a party for my husband’s birthday. I served cocktails and dinner for about 20 people, offering a variety of foods to please just about any palate. Around 3:00 on the day of the party, my husband asked for a tiramisu as one of the desserts. 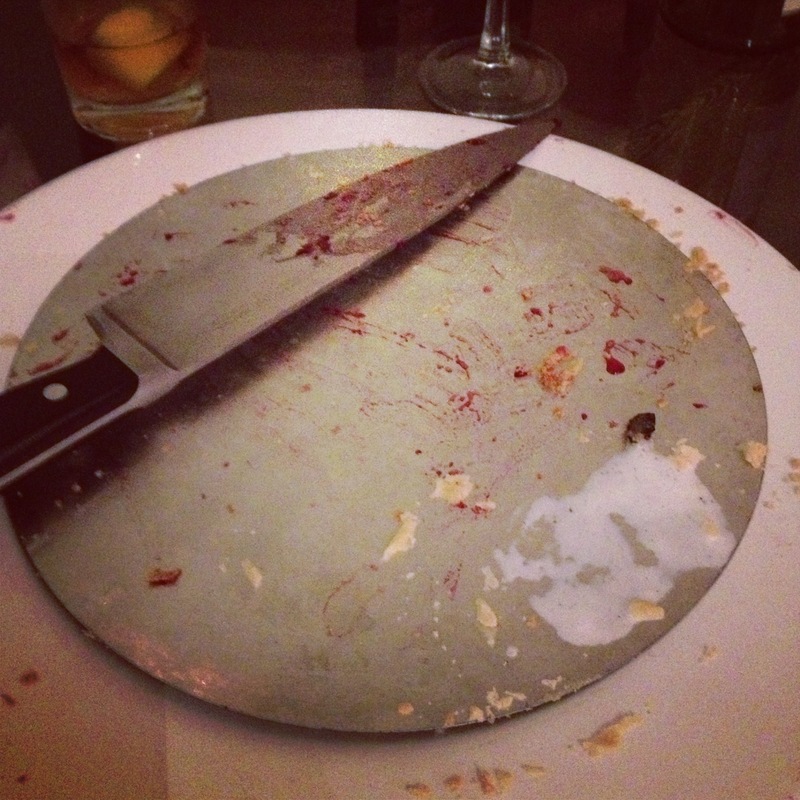 Time was of the essence, so anything that required too much prep work, or actual baking wasn’t advisable at that point. 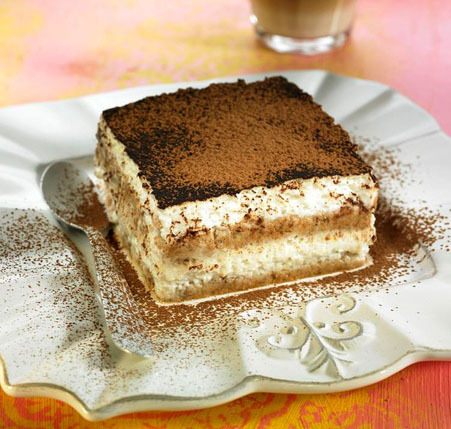 For those who may not know, tiramisu is an Italian dessert consisting of layers of espresso soaked sponge, and creamy layers containing sweet marscapone cheese. Most of the recipes incorporate eggs into the cream mixture. Not one who likes to serve raw eggs to my guests, I needed to find a way to make an egg-less version, and to make it fast! This ended up being so easy, that you could whip it up after work and it enjoy it later that evening, although the longer it has to chill, the better it will hold together when you take it out of the pan. The flavors melded well, and the espresso soaked cookies functioned beautifully as the sponge layers. The rest, as they say, is history. Try this yourself and see how quick and simple it really is to make. Select a pan that is deep enough to house 2 or 3 layers of cookies and cream. I used an 8″x8″ square baking pan, but you can use a small cassorole pan, or a loaf pan. Line the pan with either plastic wrap or parchment paper so that it is smooth along the bottom and sides of the pan, and hangs over the top. Place the wrap in both directions. This will help you ease it out of the pan later. Brew a pot of espresso, or very strong coffee. Pour some in a bowl and allow it cool enough that you don’t burn yourself when dipping the cookies. You can add a little Marsala wine for authenticity if you like, or a bit of rum if you have it. I didn’t use any alchohol, and it was still very tasty. Quickly dip store bought (yep, I went there) lady fingers into the strong coffee. Make sure they are fully saturated, but don’t let them soak, or they will fall apart. Line the bottom of the pan with the coffee dipped cookies. Be sure to cover the whole area, even if you have to use broken cookies to fill in the gaps. The wet cookies will start to merge together and you will not be able to tell if a cookie was placed in the opposite direction or broken once you are done. Beat about 1 1/2 cups of heavy cream with about 1 1/4 cup of powdered confectioner’s sugar, until the cream forms soft peaks. Beat in a 16 oz. container of soft, room temperature marscapone cheese. Spread a thick layer of the sweet cream over the cookies, and repeat. 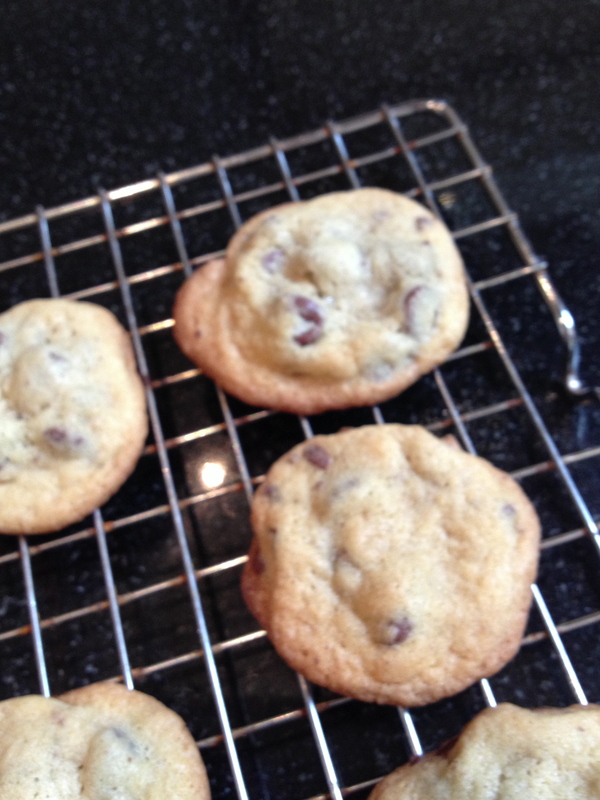 You should be able to stack 2 or 3 layers of cookies, and cream in the pan. End with a cream layer on top. Dust the top liberally with unsweetened cocoa powder. Cover with plastic wrap and refrigerate for a few hours or overnight before serving. To remove from the pan, use the over-hanging layers of plastic or paper to lift it out. Place it on a serving dish, cut it into squares, and enjoy! Notes: The finished, chilled product should hold together well and easily come out of the pan. If you don’t want to take it out of the pan, or don’t have several hours to let it chill, use a large spoon to serve it. Put it in a nice glass and make it look like a parfait. Put a strawberry on top, and make it look like you planned it. Its all good. I used store bought lady fingers, which I found in the cookie aisle at the grocery store. Marscapone is a spreadable Italian cheese, similar to American cream cheese. It is found in the refrigerated dairy area of the market. You can adjust the amount of the cream mixture to suit the size of the pan. This amount worked for my 8″x8″ pan, but you could cut it in half for a smaller loaf pan, or increase it for a larger rectangular pan. Just make sure the sides are high enough to build the layers. The sides of tiramisu will be as smooth as the pan liner. If you don’t get the plastic or paper smooth, there will be creases in the sides of the cake. 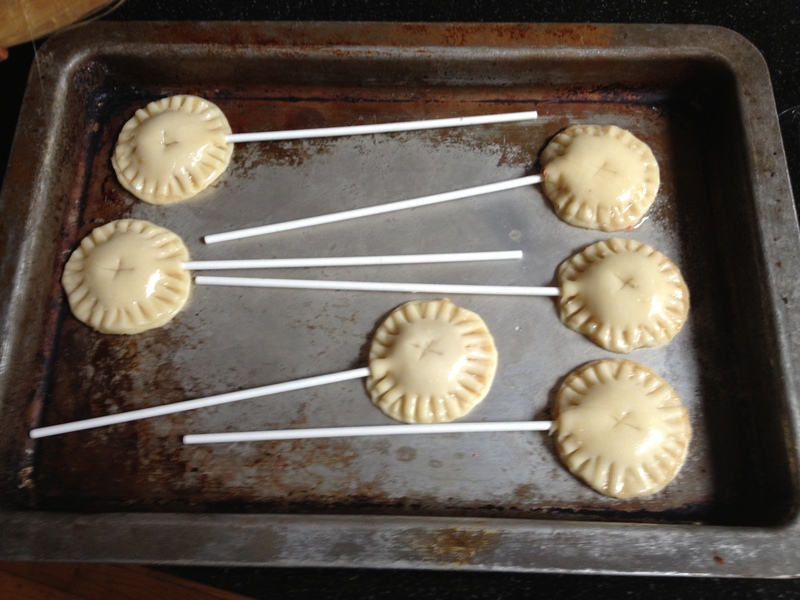 You can spray the pan with cooking spray before lining it to help the liner stick to the sides so it can be smoothed. 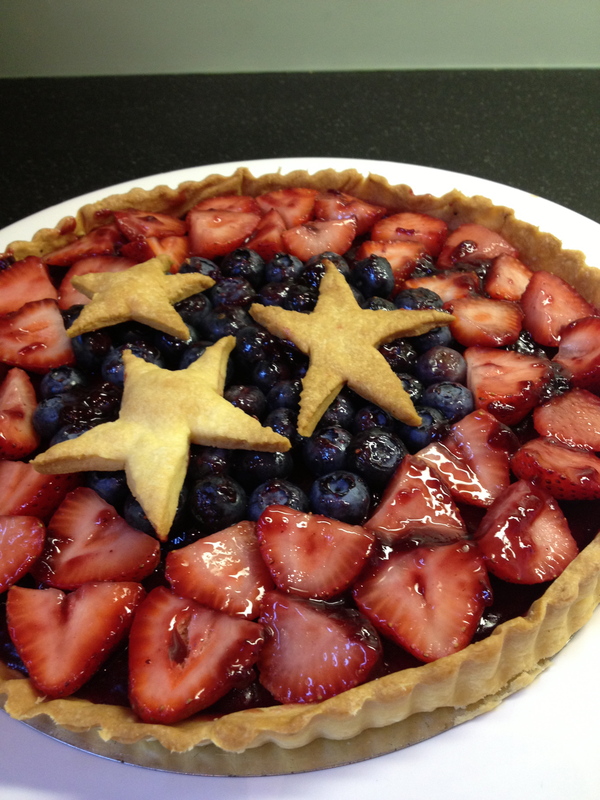 Yesterday we gave you a peek at our stars and stripes tart before we served it. Last night we finally celebrated B’s birthday. This year, she wanted pie, clearly a trait she inherited from one of her favorite pie-lovin’ cousins. 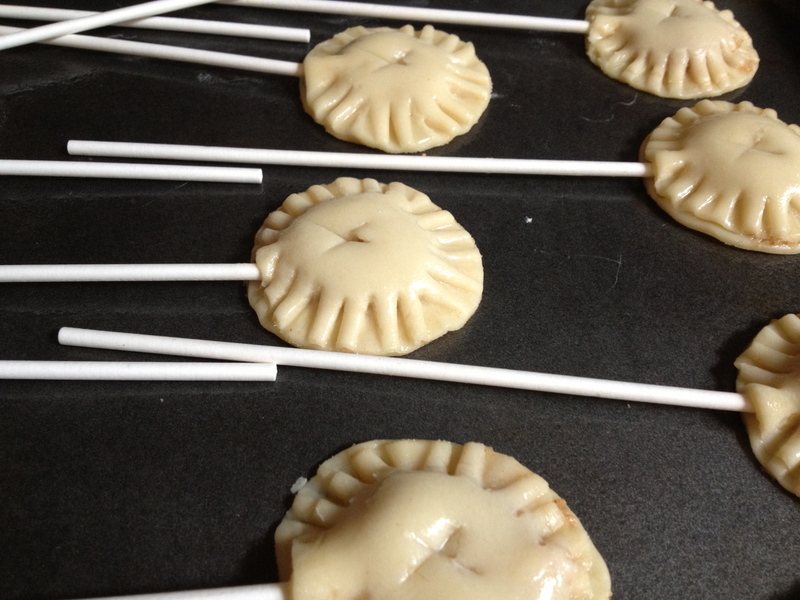 These pie pops are a fun and festive take on the classic apple pie. Besides, doesn’t everyone need pie on a stick? 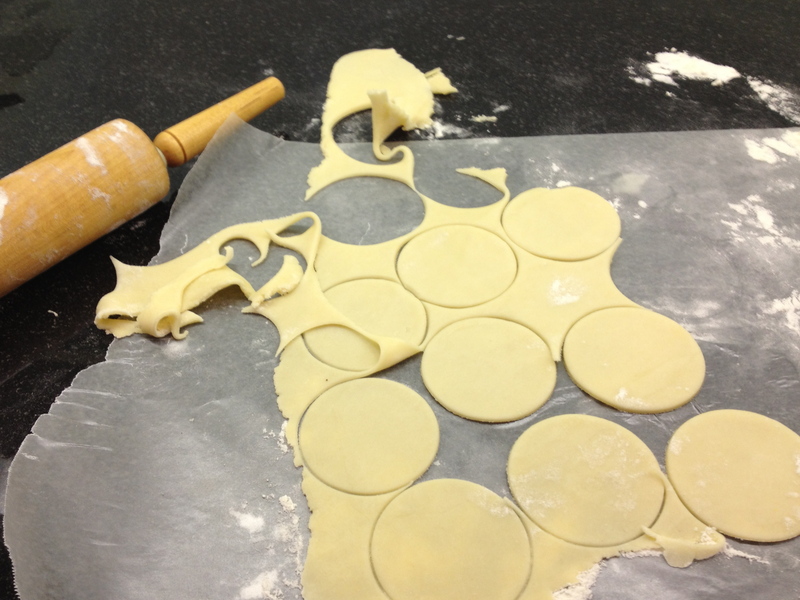 Roll the dough out, and cut into circles, about 2″ in diameter. 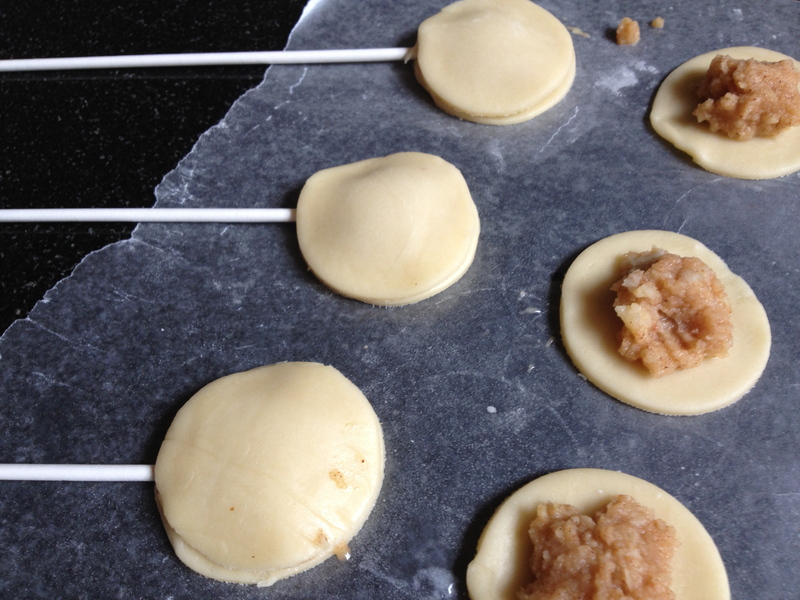 Create fillings that are not too wet. Pureed fruit tossed in flour or cornstarch, a little sugar and perhaps some cinnamon is perfect. 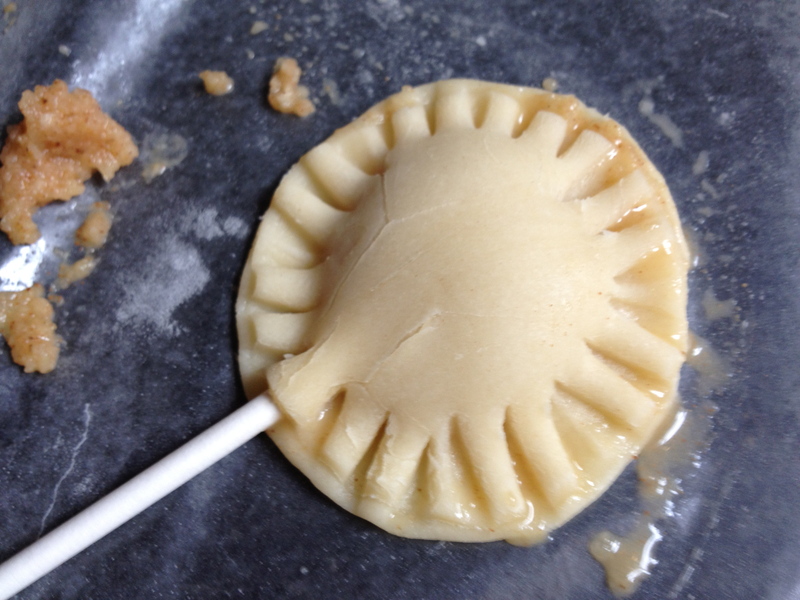 Place a dollop of filling in the center of each circle. Insert a stick and cover with another circle. Brush them with an egg wash and bake until they are golden brown. 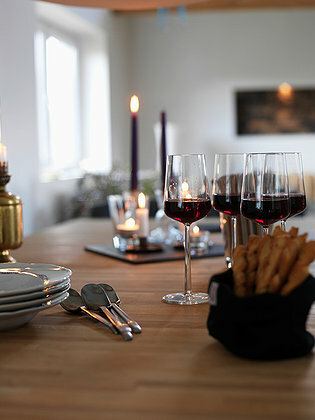 Allow to cool and arrange them in a glass or small vase until ready to eat. Enjoy! Today we are celebrating “Easter-over”, a non-denominational hybrid of Passover and Easter. The beginning of the meal features classic matzoh ball soup, leading up to a salad of mache and figs, herb roasted leg of lamb, roasted new potatoes and vegetables, and ending with an array of Passover desserts. This year, in addition to the sponge cake, made from my grandmother’s recipe and cooled upside down on a glass bottle, there are homemade coconut macaroons with a tiny chocolate center, and chocolate matzo brittle. Matzo brittle is a fairly recent concoction, and not the type of thing I would normally make. I balk at things that start with processed ingredients, and with no disrespect to our state’s acting first lady, the idea of “Semi-Homemade” is unappealing. Yet, something made me want to try this one, and I am glad I did! It is easy, yet a little messy, and absolutely addictive, regardless of what your heritage might be! Cover 2 baking sheets with aluminum foil, including the edges. ( you will thank me for this later) and then lay a piece of parchment paper on each pan. 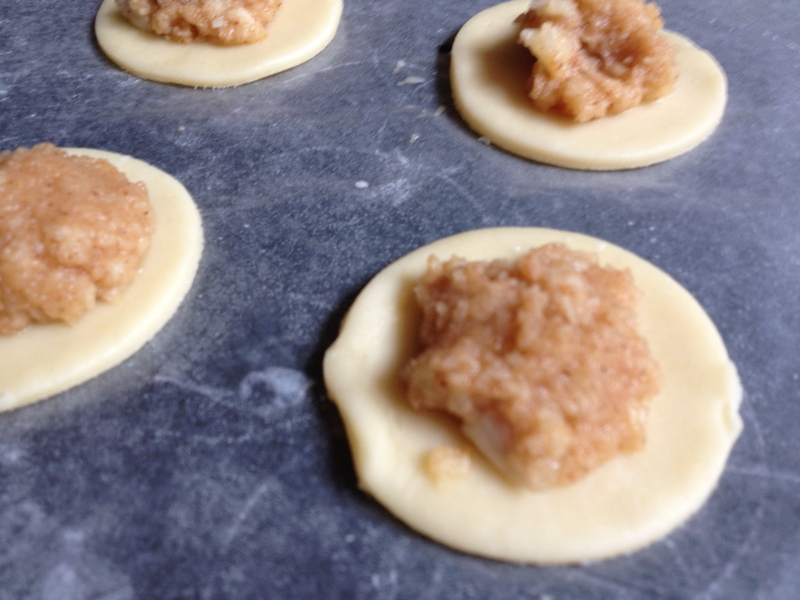 Lay out sheets of plain matzo, using broken pieces to fill any gaps. In a heavy sauce pan, melt 2 sticks of butter, and 1 cup of brown sugar, stirring until melted together. 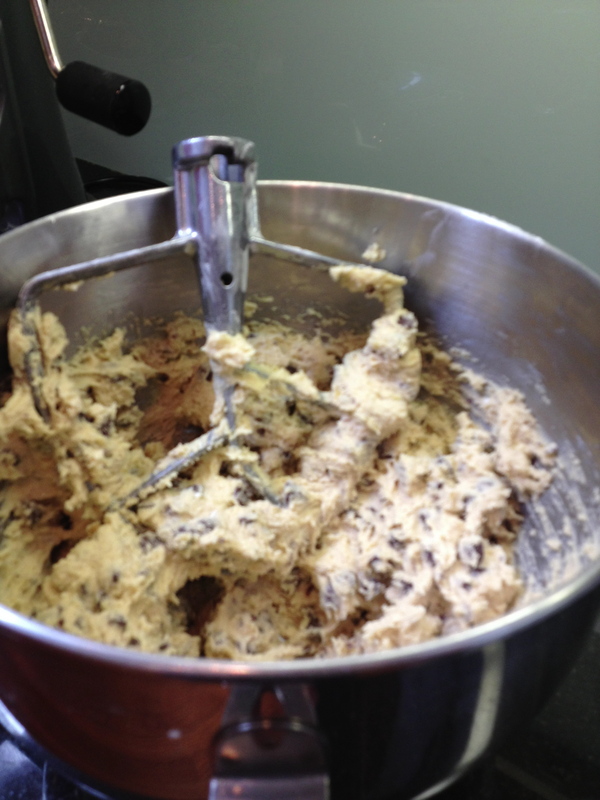 Allow the mixture to bubble up for about 3 minutes, stirring constantly. Remove it from the pan and pour it over the matzo, covering each piece evenly. Put the pans in the oven, and bake for about 15 minutes. The mixture will bubble up. 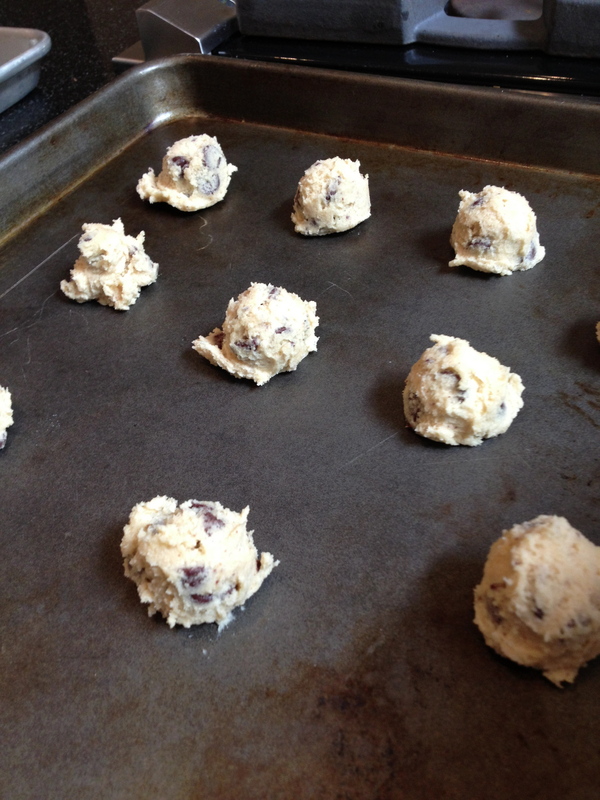 Remove the pans from the oven, and sprinkle each one with a bag of chocolate chips. 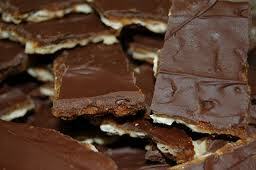 Pop back in the oven for about 5 minutes, and then use a spatula to spread the chocolate evenly over the matzo. Allow to cool, and then break into pieces. Try not to taste it, or there won’t be any left for the guests. To all of our readers around the world,Happy Easter-over! May you enjoy a wonderful celebration of the Spring season surrounded by friends and loved ones.